Bennion Kearny is one of the world’s leading publishers of soccer coaching books. 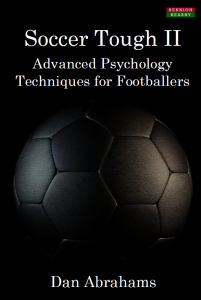 Offering a wide spectrum of titles that cover soccer practice, soccer tactics, sport psychology, coach development, footballing philosophy, youth soccer, and much more, the company has over 25 titles currently available, in both print and eBook formats, with more in active development. Acclaimed titles include The Modern Soccer Coach series (incorporating a particularly top-notch book on pre-season training!) by Gary Curneen; The Soccer Tough series (which focuses on improving players’ mental skills) by Dan Abrahams; and The Deliberate Soccer Practice books (covering attacking, defending, passing, and small-sided games) by Ray Power. More broadly, we also publish titles from leading coaches across Europe such as Xavier Tamarit – What is Tactical Periodization? 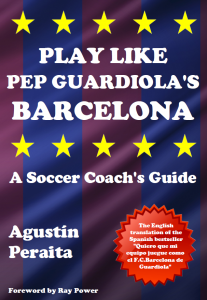 and Agustin Peraita who has dissected the approach that Pep Guardiola took at Barcelona, and which he carried forward to both Bayern Munich and Manchester City (Play Like Pep Guardiola’s Barcelona: A Soccer Coach’s Guide). When you read this book, you can understand why success has been so customary for Pep. We have also been working more recently with local authors in the coaching space. 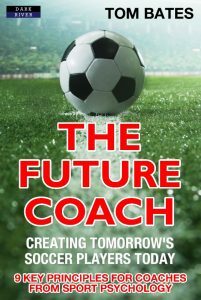 Two particular titles worth highlighting are The Future Coach: Creating Tomorrow’s Soccer Players Today by Aston Villa FC coach Tom Bates, and 101 Goalkeeper Training Practices by Andy Elleray. The Future Coach examines the best way to develop a superlative coaching environment for your players, whilst the Goalkeeper book (as the name suggests) is part of a trilogy of books that offer cutting-edge keeper drills for coaches. It’s an oft-neglected position – certainly at more junior levels – and advocates such as Andy are helping to change that. Drills and exercises are an important part of a coach’s armoury but ‘attitude’ is a fundamental that underpins not just success, but the development of grounded, generous, respectful human beings. 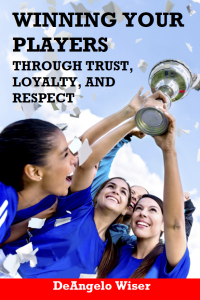 One well-received topical book is Winning Your Players through Trust, Loyalty, and Respect: A Soccer Coach’s Guide, a book by DeAngelo Wiser which sets out the importance of the coach-player relationship, the value of respect, and putting your players first. It’s a title which has gone on to recently get published in Germany. 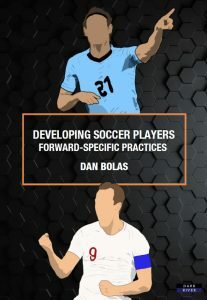 In terms of up and coming books, we are soon to publish Developing Soccer Players: Forward-Specific Practices by Dan Bowness. It’s the first in a series of titles that looks at individual positions on the pitch and how best to develop players accordingly. And whilst we have an amazing catalogue of soccer coaching books, we do not want to rest on our laurels. We want to keep publishing the best books in the field, and going into areas that rival publishers feel are too different, too unusual, or too niche. If you are a coach, or even a player, who is interested in writing or reviewing content for Bennion Kearny, we would love to discuss your ideas with you. So please get in touch and let’s see what we can do together!